You’d think after 25 years of seeing people become Lean for Life, very little would surprise me. But there is something that does. I’m constantly amazed and impressed by the generosity of the many men and women who succeed on our program and then write or call us, offering to share their success stories in hopes of inspiring others. Shanna Fichera is a beautiful example of this generous spirit. 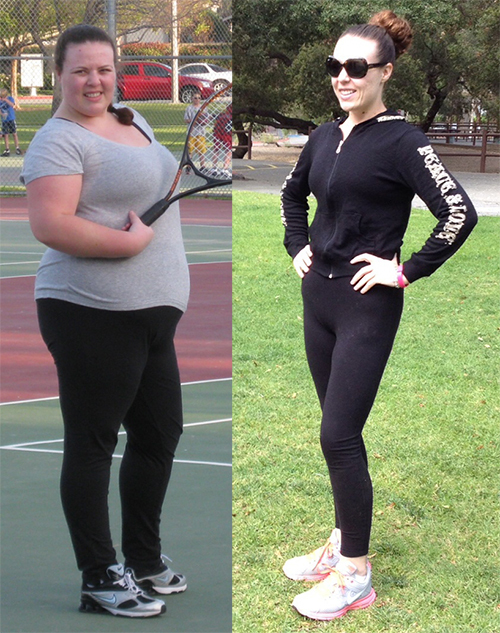 When she first walked through the doors of our Camarillo clinic in September, 2012, she weighed 265 pounds. Shanna had gained 50 pounds in just five years and was experiencing chest pains. She was on medication to treat her high blood pressure, and she was wearing muu-muus around the house. Since she worked from home, it was all too easy for her to hide from the world. Shanna realized her life was passing her by—and she was only 25 years old! In the process, Shanna says, she discovered that what she gained has proven to be every bit as important as what she lost. She says she’s gained a degree of self-confidence that has redefined her life. I‘m willing to bet that a year from now, I’m going to get an email from some young woman who has read this blog and was inspired by Shanna’s story. Something Shanna said will resonate with her. She will have lost weight and will look and feel as fabulous as Shanna does today. I’ve seen it happen too many times to believe otherwise. Truth is powerful, and people can relate to other real people who have achieved a real goal. Over the years, many famous people you would recognize—actors, musicians, athletes, etc.—have succeeded on the Lean for Life program. Some have even offered to appear in our TV commercials or print ads, but we choose to feature “real people” living “real lives” who have achieved real results. The men and women we showcase on our website and in our books, print ads and TV commercials share their stories because they want to motivate others to follow in their footsteps. They’re living happier, healthier lives and they want to inspire others to do the same. To me, that makes them much more impactful than any paid celebrity. It makes them real superstars. THEN & NOW: Shanna Fichera lost 120 pounds on the Lean for Life program.